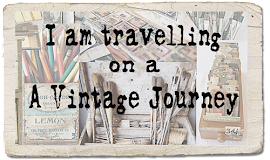 A Vintage Journey: Mini Marvels! This month's challenge is to create something in miniature - it could be a little book, a tiny scene, a small canvas, a wall hanging or even a box. 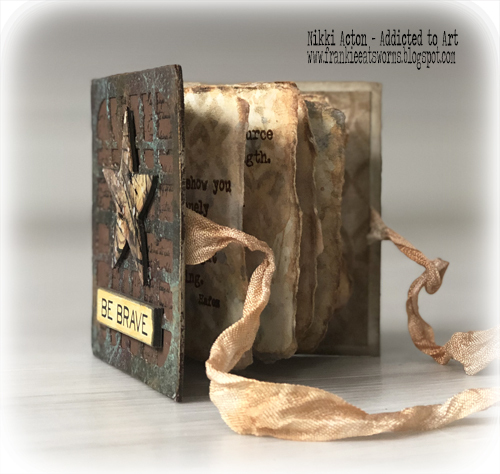 It MUST be 4" or less in size and be created in your vintage, shabby, mixed media, art journalling, industrial, timeworn or steampunk style. Our wonderful Sponsor this month is Southern Ridge Trading Company who will be offering one randomly chosen winner a $50 varied selection of chipboard and wood veneer laser cut embellishments! So, let's take a look at what our Creative Guides have created for your inspiration. 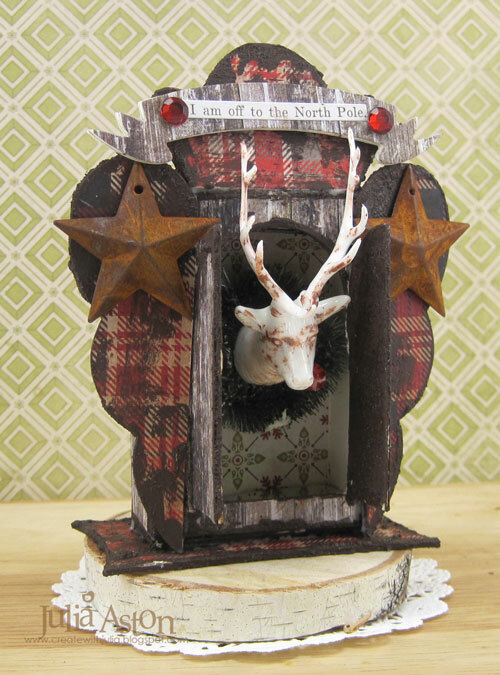 I love making 3D projects and I challenged myself to create a miniature 3D project using one dimensional dies by Tim Holtz, along with a Christmas bauble and a plastic tub - and there is a special little twist too! If you would like to see more please pop over to my blog - Redanne. 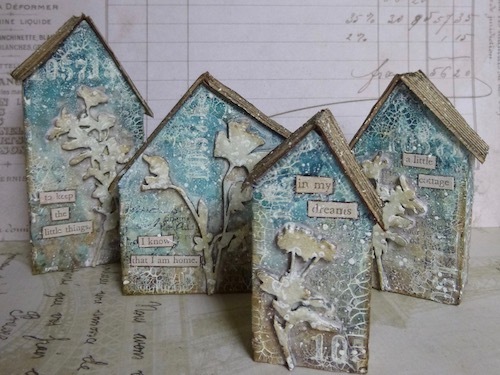 If you mention miniatures to me, my mind goes to dollshouses, so it was pretty inevitable that I would end up with some little houses as my inspiration offering for Anne's wonderful Mini Marvels theme. The tallest is exactly four inches high, and the smallest is only half that! Do come and see all the tiny details over at Words and Pictures. Having recently been to Seth Apter's 'Book of Moments' workshop I was inspired to create a mini book for our Mini Marvels challenge. 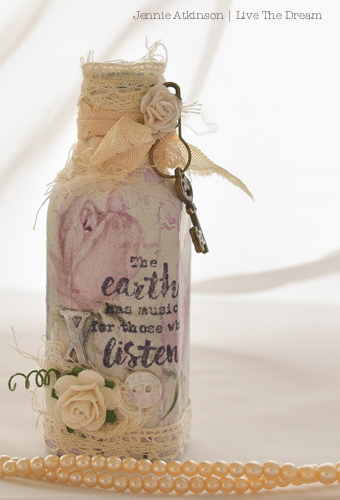 My 3 inch square book contains Alison Bomber quote stamps and definitely has that handmade, vintage feel. For all the details and the inside pages, please pop over to my blog - Addicted to Art. For my Mini Marvel - I created a little reindeer stall for one of Santa's reindeer - who is standing ready for Christmas Eve when Santa needs him to help pull his sleigh around the world! I used a new Sizzix Heart Shrine Die along with some Idea-ology supplies, rusty stars and aged my stall with some rust paste. 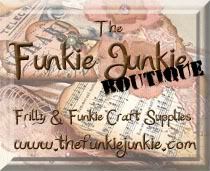 Please come see how I put this together over at my blog - Create with Me! Whilst travelling home from Switzerland last week I had a Gin and Tonic on the plane (as you do.....) and as soon as I saw the little miniature Bombay Sapphire Gin bottle I knew I wanted to alter it for Anne's challenge. If you would like to see the details then please hop on over to my blog. Cheers! Each year we try to spice up the holiday fun in our home by giving the kids 12 small gifts each day leading up to Christmas. I used this challenge as a way to get started on my presents and made little 4x4" matchbook gift card holders. Each one is unique so that each child feels special. I hope you will hop on over to SewPaperPaint for the tutorial and close ups. With Christmas fast approaching we will all be in need of gift tags. This challenge was the perfect prompt to get me going. Please stop by my blog here to see more details and photos. 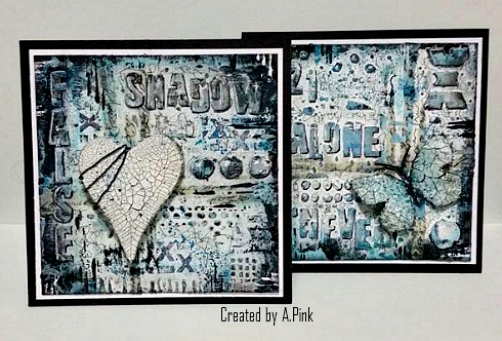 For Anne's Challenge I have had a great time using paints, texture, stamps and stencils to create 2 pieces of 'Mini Art' with a grungy feel. There are more details on my blog if you fancy stopping by. I'm having a complete reorganisation of my art and craft stuff and came across these little pocket watches by Wendy Vecchi. They have been tucked away for eons but appeared miraculously just at the right time to enter Anne's Mini Marvels challenge and of course with Christmas on the way I thought they'd make fabulous little tags for men pressies. There's a few more photos over at Bumblebees and Butterflies if you can make it. Well I hope that you have been inspired by all the wonderful examples by the Creative Guides above. We are looking forward to seeing your 'Mini Marvels' this month! You could be selected as one of our Pinworthies, and of course, one lucky randomly drawn winner will receive a wonderful package of goodies from Southern Ridge Trading Company! Good Luck everyone! Wonderful job once again team! I love each one. What a lovely challenge theme!!! And your creations are marvellous too!!! Oh wow ladies, you have completely outdone yourself once again, - each and everyone is a complete stunner!!! Wow! What fabulous mini masterpieces! 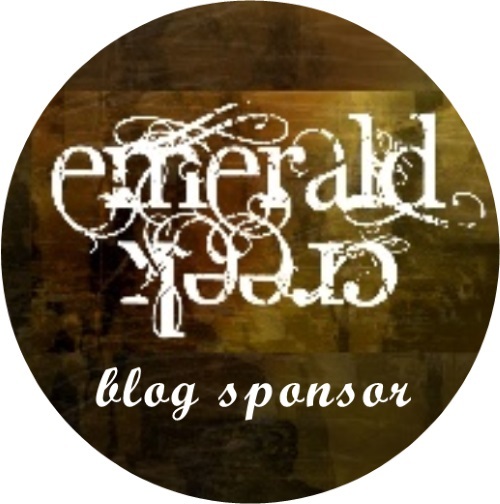 I can't wait to get some time to get around to your blogs to see the details! Each of these is so inspiring and well done! Hugs! Fabulous small wonders of work. Love them all. I've had a ball hopping round these mini marvels - amazing work all round. Stunning creations ladies... lots of original and beautiful makes! A fabulous gallery of Mini Marvels ladies. Your projects may be pocket size but the inspiration you have all offered most certainly isn't. The only word comes seeing all these work is stunning!!! !